For this review we are taking a big step up in the Metabo mitre saw range to look at the KGS305M. This is a big saw! It is capable of some massive cuts with plenty of power to back them up. It’s a large bit of kit and is a match for any of the other mitre saws out there. 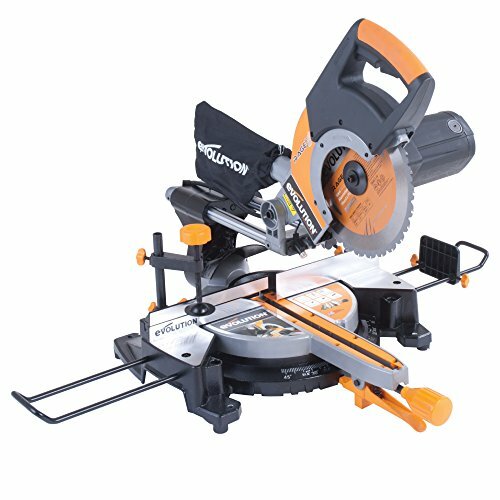 Many of the saws that we review have smaller capacities than this model and have a few differing features but largely do the same job. This one stands out from the crowd and we will go into why! The KGS 305M has some serious features to talk about, this not a standard mitre saw. Below are some of the key things you need to know. 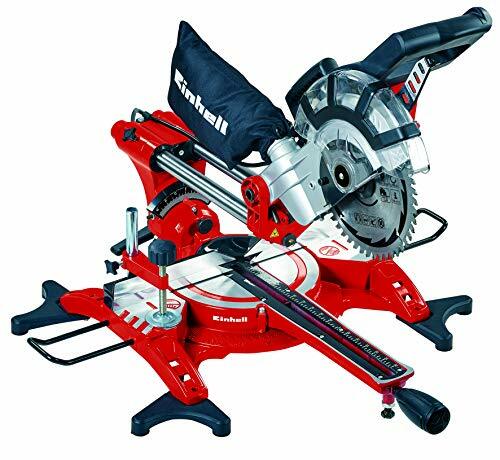 If you are looking for a saw that is totally versatile and up for any job then look no further. The cutting capacity is huge. The maximum cut depth is 106mm (4.1 inches) and maximum cut width is 340mm (13.3 inches). 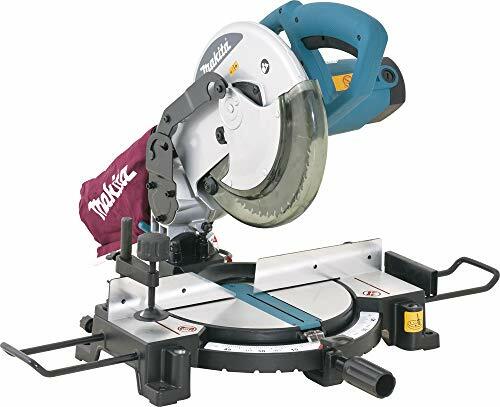 If you are cutting some large roof timbers or working on landscaping areas that require some serious size timbers then this is a great saw. For roofers it is going to be a heavy bit of kit to get up to the roof but worth it once you are working as it will sail through the biggest cuts. You are paying a lot of money for the extra capacity so check you need it before you buy. The 2000 watt motor is needed on a saw of this size. Cutting through large pieces of hard wood is going to require some serious power and this motor will deliver that. Not only will it deliver the one off power but will be able to make cut after cut. The motor is powered by a 240 volt mains cable and it is also available as in a 110 volt version to take onto sites for more commercial work. As well as cutting big things the angles are very flexible. The cutting table angles will go to 47 degrees on the left and right side and the blade angle will go to 47 degrees on the left hand side. You will be able to get some precise angles even on all size cuts. Be aware that the angles do reduce the maximum cut size. We have to say this is not the most portable saw. It weighs 23 kilograms which is double the weight of some of the smaller models. It’s not really a downside, a saw that is built for this sort of work needs to be robust with a big blade and large footprint to cope with the stresses and strains of big jobs. Ideally you would use something of this size on a stand with a good bit of working space around it to manage the large pieces of material you are working with. Not really one to chuck in the boot if you’re going from job to job cutting things like skirting boards! A saw that is this capable needs to be safe, below we run through some of the safety features. Supplied with the KGS305M is a detachable dust and chip bag to gather any mess as you work. It is not going to gather a lot of dust so Metabo have designed the saw to be directly attached to a dust collection unit to keep the work area dust free at all times. Really important if you have a bit of kit like this set up in a workshop. Situated above the blade, the LED work light shines over the working area to give much better visibility. Great in dark corners of the workshop or low light areas. This is important on this model as the large materials with be heavier to hold in place and line up for cutting. An easy to use screw down clamp is attached to the deck to hold the materials in place while you cut. This reduces the need to hold the material while you cut it and you can concentrate on getting an accurate cut. The blade cover only exposes the spinning blade as it passes over the cutting surface, a standard but important safety feature. Customers have left some great feedback on various items giving it an overall rating of 9 out of 10 on Reevoo. The common theme running through the reviews is how much you get for your money. Coming in at half of the cost of the Dewalt and Bosch models. No matter what your brand preference you can’t ignore a saving of over two hundred pounds. A couple of comments relating to the laser not being brilliant. This is a downside when comparing it to the Dewalt shadow line system as well. Some people are finding that it is a heavy bit of kit but the ergonomic carry handle on the top of the body makes it easy to pick up and makes up for the weight. I don’t think you can really find a light saw that has this cutting capacity. 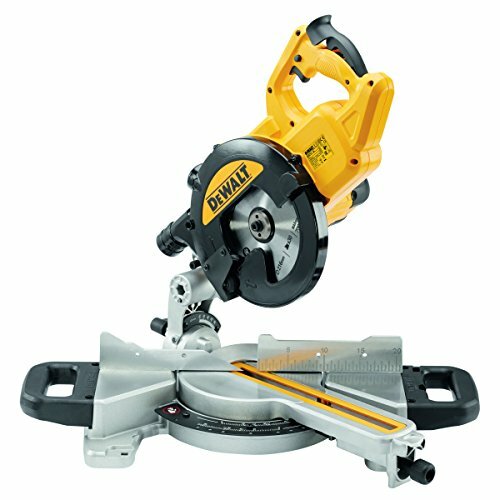 This is a brilliant mitre saw but it’s not for everyone. It costs a lot of money and can cut a lot of large materials. In reality most of us don’t need this so we would urge you to think very carefully before you buy it. It’s not a cross cut saw that you can tuck away on a small shelf – it takes up a lot of space. However, this will do any job you throw at it, many brands that offer a saw of this capacity will charge well over five hundred pounds. 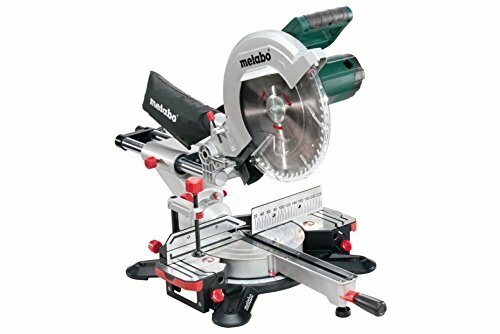 The quality and scope of the Metabo KGS305M cross cut mitre saw is brilliant. 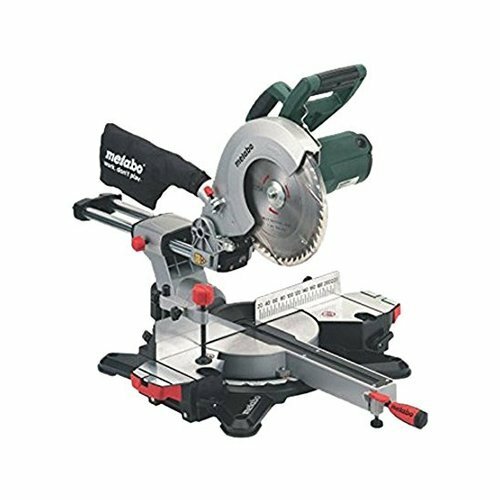 We think this is one for the seasoned wood worker or tradesmen out there that understand their tools, not one for those buying their first saw.